Luke makes sure that the Through The Maze website and social media is up to date with the latest news and information. 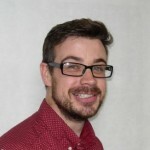 Before working for Connect in the North Luke worked in digital communication for agencies and charities across the U.K.
Luke likes to use his skills to make information easy for everyone to understand. He also enjoys helping people develop their own knowledge and skills.